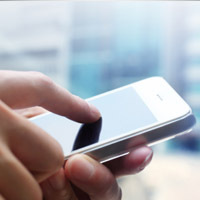 Mobile Communication Technology – 4Discovery principles were instrumental in one of the most significant Trade Secret theft cases of recent history. A major U.S. based technology firm filed suit against a Chinese competitor and 14 co-defendants in a dispute over the alleged diversion of mobile communication technology to China. The case, covering a period of nearly three years, involved the examination of dozens of computers and data storage devices, and hundreds of thousands of emails. Our experts were members of the litigation team. Ultimately, a satisfactory settlement was achieved.